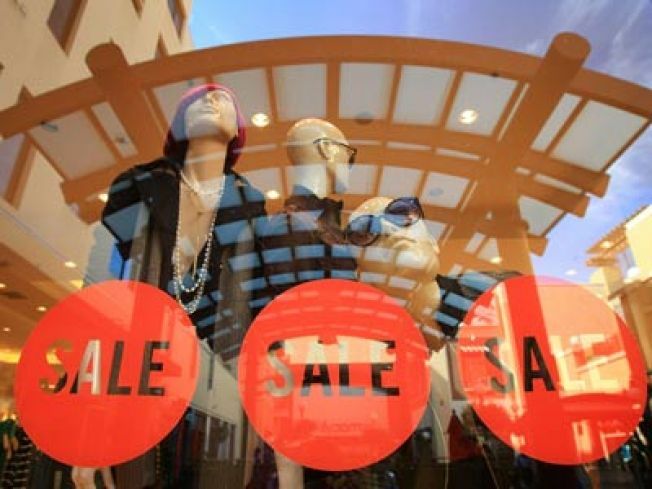 Recorded retail sales dropped the largest amount since the November following 9/11/01. Consumer spending, which accounts for a large portion of GDP, was down 2.8% in October. Retail sales plunged by the largest amount on record in October as the financial crisis and the slumping economy caused consumers to sharply cut back on their spending. The Commerce Department said Friday that retail sales fell by 2.8 percent last month, surpassing the old mark of a 2.65 percent drop in November 2001 in the wake of the terrorist attacks that year. The decline in sales was led by a huge drop in auto purchases, but sales of all types of products from furniture to clothing fell as consumers retrenched. The 2.8 percent drop marked the fourth consecutive monthly decline in retail sales and was much bigger than the 2 percent fall economists expected. The weakness was led by a 5.5 percent plunge in auto sales, the biggest drop since August 2005. Auto companies reported unit sales fell to the lowest level in 17 years as potential buyers, frightened by all the turmoil on Wall Street, stayed away from auto showrooms. Excluding autos, retail sales fell by 2.2 percent, also a record decline, underscoring the widespread weakness last month. Consumer spending accounts for two-thirds of total economic activity and weakness in this area was the major factor dragging down overall economic growth in the July-September quarter. The gross domestic product fell 0.3 percent at an annual rate during the third quarter, the strongest signal yet that the country has fallen into a recession. Many economists believe the GDP will drop by an even bigger amount in the current October-December period and will continue falling through the first two quarters of next year. They are expecting that the financial crisis, the worst in seven decades, will produce the country's worst recession since the 1981-1982 downturn. The government reported last week that the unemployment rate shot up to 6.5 percent in October, and many economists believe it will top 8 percent before the economy starts to mount a sustained rebound. The retail sales report showed that sales at general merchandise stores, the category that includes big chains such as Wal-Mart Stores Inc. and department stores, fell by 0.4 percent, while sales at specialty clothing stores were down a bigger 1.4 percent. Sales at furniture stores dropped by 2.5 percent, with sales at appliance stores and sport goods stores also showing declines. One of the few areas to show an increase was the category that includes restaurants and bars which posted a small 0.3 percent gain, perhaps reflecting the desire of some to seek solace during turbulent economic times.